Furthermore, the persistent pain was most commonly described as aching, tender, and tiring. While this most recent study we highlighted shows nearly 40% of patients still having chronic knee pain after knee replacement, there are other studies reporting higher percentages. This French study looked at almost 2,000 knee replacement patients one year after their surgery. They used a nationalized health care system to track the new use of over-the-counter pain medicine, nerve-pain drugs, and narcotics. While we would expect to see very little new use of pain medications in this group of patients, a very surprising 47% of patients began taking new analgesic medications (like Tylenol and Motrin) during the year after their surgery! About 9% needed new nerve drugs and about 6% new narcotic drugs. 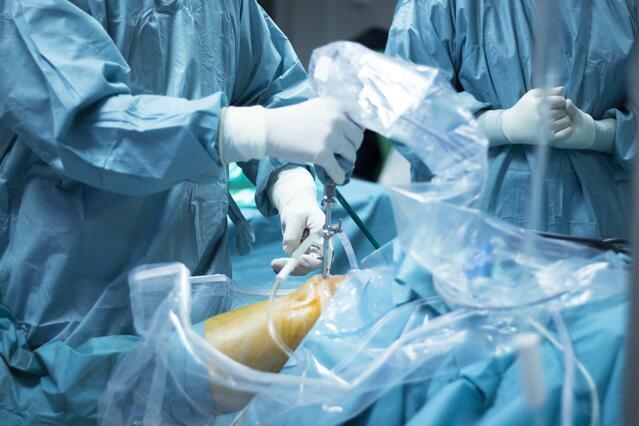 Younger knee replacement patients and those with more pain before the surgery needed more drugs. This study looked at more than 1,700 patients who had knee replacement. The focus was to determine how many would still have pain coming from the front of the knee joint. The researchers found that at five-plus years later, 20% had pain in the front of the knee. However, a stunning 54% of patients still had knee pain with only 46% being pain free. Also interesting was that 87% of patients had their knee pain develop after the surgery and within the first five years. In addition, knee pain in the front was more common among younger and more active patients. This study reported 44% of patients with chronic knee pain after knee replacement and a remarkable 15% with “severe-extreme persistent pain.” Another study reported 53% with chronic pain after knee replacement. Are People with Continuing Pain or depression after knee surgery Just being wimpy? Major depression was more common for these patients with this complication of chronic pain after knee replacement. Depression is more likely a confounder, as who wouldn’t be depressed after going through an invasive surgery like this to get rid of knee pain and still having severe knee pain? Let me help with that word confounder. Confounding is a distortion of the association between an exposure and an outcome that occurs when the study groups differ with respect to other factors that influence the outcome. Unlike selection and information bias, which can be introduced by the investigator or by the subjects, confounding is a type of bias that can be adjusted for in the analysis, provided that the investigators have information on the status of study subjects with respect to potential confounding factors. Perhaps even more importantly, the study authors stated that pain ELSEWHERE, was associated with persistent pain after joint replacement. However, rather than concluding this may mean that the knee or hip may not be the cause of the knee or hip pain in the first place, the authors went in a different direction. They stated, “The association between the number of pain problems elsewhere and the severity of persistent post-surgical pain suggests that patients…may have an underlying vulnerability to pain.” This statement is a scholarly way saying of that patients who still have pain after their joint replacement surgeries must simply be wimpy! I would interpret this data very differently. I have seen many patients over the years with hip or knee pain and an x-ray that looks like arthritis who have been told they needed joint replacement. Many of these patients have pain coming from elsewhere that is referred to the hip or knee, as I’ve been able to solve their pain problems without surgery using a variety of procedures, including the use of Trigenics® (explained below). In these patients, replacing their joints won’t do much good. I will explain about the treatment procedures in just a bit...so continue reading. The frightening thing is that your knee may not have been the actual cause of your knee pain at all. You may have had knee surgery when you actually did not need it. There are multiple things in the spine and around the knee can cause knee pain. For example, the mid low back nerves, the sacroiliac joint, the muscles, and the tendons can all cause knee pain. Why is this important? 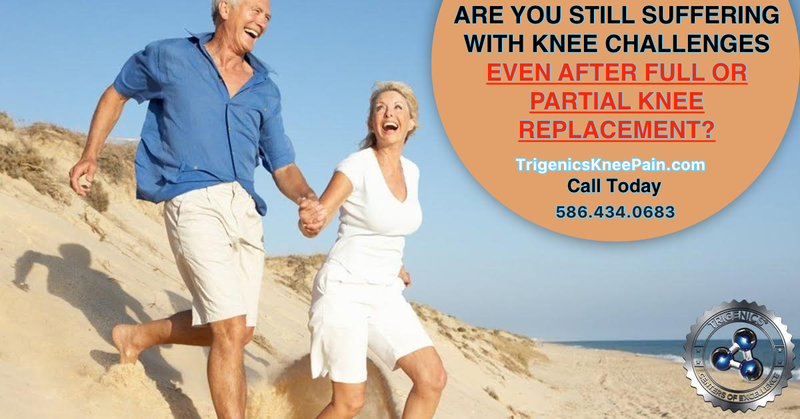 Well, why would you want to have a knee replacement if the knee isn’t the true cause of your pain? Perhaps this is the reason the pain doesn’t subside after surgery in such a high percentage of patients. How is it possible that an arthritic knee isn’t the cause of knee pain? Many studies have shown that knee arthritis doesn’t necessarily cause pain. For example, many patients with arthritis on x-ray and MRI have no knee pain! I had a recent case of a "bone on bone" 83 year old knee pain patient who decreased her pain from a 9 to a 1 in just a few sessions of my breakthrough knee pain recovery program. A recent study decided to use the ultimate test in patients with knee pain to see if they actually had painful knee joints. They injected numbing medicine inside the knee joint to see if the knee pain went away. The results? About one-third of patients didn’t get any relief! Since it’s common for a knee replacement decision to be made with just a cursory exam and an X ray, if one-third of the patients with the most common form of arthritis don’t have pain coming from the joint, how many patients are getting unnecessary knee replacements? The upshot? While different studies may theorize a variety of reasons for chronic pain after knee replacement, the fact is, studies show that knee pain remains in a very high percentage of patients. With 40% or more of patients still experiencing pain a year following total knee replacement (and pain percentages increasing even more over time), it is clear that chronic knee replacement pain is very common. Did you know that your brain and body parts can get out of clear communication with each other? It's true and the term used for the phenomenon is called dysafferentation. Simply put, when there is an alteration in nerves signals from joints, muscles and ligaments to the brain, the output from the brain is abnormal. The abnormal output from the brain can lead to pain, muscle weakness, and cramping or increased muscle tension in or around the joint sending the signals to the brain. Dr. Allan Oolo Austin, the developer of Trigenics® developed a special sequence of Trigenics® procedures that updates the neurological input to the brain, which in turn, normalizes the brains output signalling, resulting in improved function. 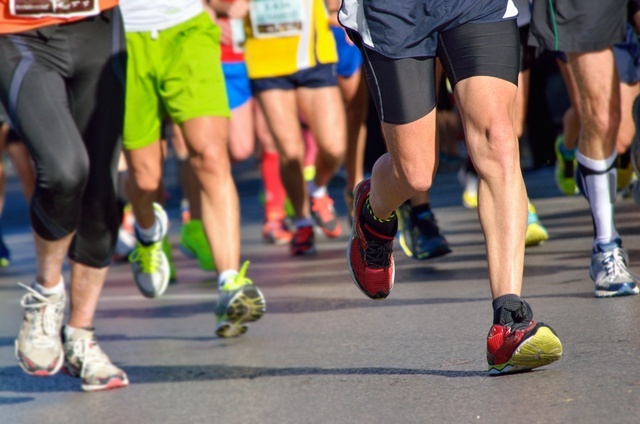 In essence, the brain forgets how to use the various lower extremity or knee muscles sending improper signals to the muscles which control knee movement. An imbalance in the way the knee muscles control movement of the knee develops. Some muscles become weak with others too tight. This imbalance results in improper movement, pain and weakness. As a result of the aberrant signals flowing to and from the brain, the painful movement and weakness remains until the communication is re-established. Until that time a downward deterioration spiral continues and the recovery is only partial, requiring the knee pain sufferer to cope with sub-optimal strength and function. What is Trigenics ® ? Trigenics® is a neurological muscle reprogramming system which resets the brain and the way it communicates with the body to instantly decrease pain and strengthen muscles and improve movement. This procedure involves applying 3 treatment techniques at the same time for a cumulative therapeutic effect, which is much greater than if you only receive one. Trigenics® combines resisted exercise neurology with muscle-sensor manipulation and biofeedback concentrative breathing to trick the brain into changing the way it signals the muscles and body. In essence, Trigenics® procedures identify muscles that are too short and muscles that are weak. Unlike the traditional approach to strengthening weak muscles and stretching short muscle, concepts in the field of neurology are employed to stimulate various brain centers to instantly cause strength to return and muscles to relax and lengthen. Rather than these positive improvements being short-lived, they are analogous to receiving a software update and are permanent! I know this explanation sounds somewhat far-fetched, but seeing and feeling the results first hand is all the proof that is needed. Of course my neurological training background and my education and training in the physiology of the body allows me to understand the neurology behind the "magic". In addition to this special procedure, other therapies and treatments are often used to heal and make corrections in various tissues. Cutting Edge MLS Laser to help with restoring cartilage and speed of healing of ligaments, tendons and muscles. Brain-Based Therapy to rehabilitate the brain-body communication fully due to reduced brain stimulation from the reduced input as a result of the lack of movement characteristic of frozen shoulder impingement syndrome. For more details about the natural approach I take with my patients, take a look at the book I wrote entitled: Reclaim Your Life; Your Guide To Revealing Your Body's Life-Changing Secrets For Renewed Health. It is available in my office or at Amazon and many other book outlets.